Starting this blog has been a long journey. It began with a webinar where the sponsor talked about what a powerful influence a pastor could make doing a blog. That put a calling on my heart to consider it. However, that just created more questions in my mind than answers. Like, what would my blog to address? Do I have something people want to read? Do I have the dedication to keep it going? After months of prayer and wrestling in a Jacob-like way with God. On January 15, 2016, my first blog was launched. My personal faith journey is fascinating. I was brought up a Southern Baptist until I rebelled at the tender age of four. I didn’t understand what was happening in the church. It was loud, confusing and frightening. It drove me away, and I told my mom I was not going back. At the age of 4, I attended a Lutheran pre-school, and they had chapel services every Wednesday. I thought to myself, “Oh no here we go again.” This place was different, there was little to no emotion, at four that appealed to me. I convinced my mom this was the church for us. So at the age of six, I was baptized. I convinced my mom and cousins to join as well. My dad never really came around. I worked on him for years to no avail. The one time he attended a church member made a comment like, “Oh, look the prodigal son has returned.” They were joking, but it hurt him, so he never returned. My Father died 13 years ago this Christmas Day 2016. It is his story that drives my passion to share the Gospel. So I pray you will sense my heart for those outside God’s grace from this blog. I do not claim to be an outreach expert. Many people have family members, friends and loved ones who have drifted away. Some have been hurt by the Church, for that I am sorry, it was not intentional, I believe we are sinners in desperate need of God’s grace and forgiveness. At times we are thoughtless. Some may have come to church hoping for all the answers and just left with more questions, don’t give up. Some have never come; I invite you because God wants all to come to the life-saving message of the Gospel of Jesus Christ. This blog will hopefully encourage you to keep seeking, keeping knocking because God is searching for you. Since I launched it, every day God opens new doors and new ideas to share. I pray that you will find the insights here some that will encourage you. Things here that will challenge you in your walk with God and more than anything else remind you that you are loved by an Awesome and merciful God. One who loves you so much he sent his one and unique Son to take your place on Calvary’s cross because you are precious in His sight. 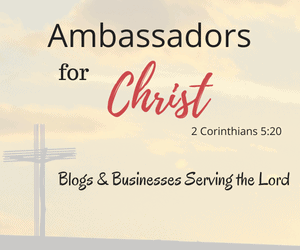 If this sounds like this will be a blessing to you sign up to follow this blog and share it with your family and friends who are far from God. God bless you, and God bless his Church. This weblog does not represent the thoughts, intentions, plans or strategies of the Northern Illinois District. It is solely my opinion and if you know me or follow this blog long enough you will learn I have many. Some deeply insightful some may be the result of too much Cajun spice in my diet. I would love to follow this beautiful daily word. Please put me on your blog notification list. Thank you Hippy Christian Mum. I look forward to where God leads you on this journey of writing as well. I am following your blog as well. Prayers timings: 12:30 PM to 4:30 PM and 7:30 PM to 10:30 PM daily three days In Atyutapuram village. 29th day: pray for will be don on the Erath, His Glory, His Grace, Holy name, kingdom of God and his coming soon, daily bread by the Good News and Sustainable development of Ministry. 30th day: pray for you and your family and day by day developing in the God. 31. Church believers, orphanage needs and construction of church and orphanage children and who are troubles, worries, in the world. Thanks for following my blog Keith, and I hope you find a blessing there! I pray Wally, you are blessed and encouraged following my blog as well. Thank you for dropping in to check out my blog and thanks for the invitation to check yours out. You have quite the story Keith! Thank you. As with any loss you wish you had more time . You write well, you’re doing it for a good reason, and I sincerely hope you will be able to continue doing this for the long term. God bless you. Thank you Robert. It has become a labor of love. Thanks for following. I pray the blog is an encouragement and blessing for you. I see that my friend Wally left a comment before me. Oh well. Anyway, I, too, thank you for following my blog. It’s always nice to see a fellow believer doing so instead of some crazy site intent on marketing vacations, or worse (I always seem to get several of those in a row after a popular post). It was neat to read how that you put a lot of thought and prayer into the formation of your blog. Could I go back in time 6 years ago I would do the same. However, when I started blogging I had no clue what I was doing; I just jumped in. Now I write whatever’s on my heart, pastoral-ish or not. Hi Anthony. Thanks for following. I think I beginning to find a niche. My goal is to be a positive place and that is the feedback I am getting. God is good. I look forward to seeing what God is doing through you now after six years. Preachers Rock on! Unlike me, you’re starting off better, so you’ll go farther more quickly. Thanks for following my blog. Blessings to you my brother! It has given me way more joy than I thought it would. And the added blessing is that it is giving other joy as well. It is the best of both worlds. Thanks for following. I pray it is a blessing to you as well. I look forward to following you Keith, I have walked a rocky road in my life, even being a deceived Atheist for almost 30 years and than an uninformed, confused Christian but now after asking for God’s wisdom and empowering and receiving them, I know without doubt the reality of our God of Love who can and does the impossible and assurance also of who and what we are like in Christ Jesus. I Love to share God’s Truth, no one has to tell me to do so but yes as you said Keith we are lead by Jesus and we need to wait on Him to equip and to empower us and for you as you shared that is now with Blogging, which was something I never planned to do either but I have found much Joy in doing so since 2011 even if there has been problems too. You have a very great blog. Thanks for following my blog. It has led me to yours, which I am pleased to follow as well. Thanks for following me.I will be reading your posts with interest. What a blessing to find enough passion in your faith to want to share your divine purpose with your readers. I loved reading of the many doors that have opened since you made a conscious decision to start blogging. When we do something from the heart that God has made, we are going to be lifted up. He will give us strength to continue. From what I have read, He is manifesting through you! It has been an amazing journey. I wondered if I had anything to contribute when this all started. Daily God reminds me that he is using me to bless others. What a awesome God we serve? Thank you for faithfully following. Thanks for the follow! Looking forward to reading from your blog. Hi, Keith. I read your blog about allowing the Word of God to speak through prayer and tried to go to the site several times, but it just gave an error message each time. I loved it and it is so good to hear that God speaks to your through your iPod, too. That happens to me all the time. I also want to apologize if I freaked you out or said something upsetting in my comment on your post about Paul. I writes about what I wrote on my blog, but I’m sorry if it crossed the line writing it on yours. Ok, it was very good. Which one the prayer one or the marriage one? Oh I did not get upset. We are good. I love our conversations. Have a blessed day. You’ve done a great job on this blog. You have shared a lot for people to get to know you and you have a lot of encouraging posts! Also thank you for the follow, it is very appreciated. And I like your posting the Bach tune-listening now! Thank you. That is my hope. And thank you for following. A sane voice in an insane world. Thank you for following my blog. Thank you Intentergy. It is my desire to provide positive encouraging content for my readers. I am honored. Thank and and thanks for following. I pray that this blog is a blessing. Wow, what a blessing. Very inspiring!! I have a lot of catching up to do on your blog. I just started a few weeks ago, pray for me. Thank You Shawna. It has become a labor of love. And the neat thing is that it is opening new doors for me to become a published author. Never saw that coming. Never thought my writing was that good. Thanks for reading. Yes I have been reminded of that. Also amazed that in just 10 months God lead over 2,ooo people to sign up to read this blog. So many people seeking encouragement. That has been my greatest joy. Yes it’s awesome. I was just like you never thought anyone would read, I can no longer run away from God. I’m all in, now I get to meet people like you who are like-minded. Go for it. Will be praying for you. I am happy to have popped over this way to “meet” you!! I look forward to read more from you Misty. Keith, my Brother, you have done some serious reading my way, may I ask? Did His Presence in my heart touched His Presence in your heart? His Presence in your writings certainly deeply touch my being. Hope, there is always hope. Behold! The power of His love from on high. It never fails. It always avails! His plan to restore us to His original intent for our creation is coming along big time! He is joining us together. He is not coming back for a disjointed body. One by one, not the multitude, just like the ancients proclaimed it was to be. And I will give you spiritual shepherds after My own heart in the final time, who will feed you with knowledge and understanding and judgment. Hi Thia I am so honored that my writing has touched you. God has been moving in my life in some very interesting ways this past year. It has lead to a Bible Study that will be published on Healing Race in America. I started this blog because I needed a creative outlet. God has turned it into a ministry. I am humbled by the response from those who are reading. Blessings to you. And thanks for reaching out and encouraging what God is doing. There is not to be any division among us. A Church, yes, A CHURCH not contained in a building or in any especific group or groups. A CHURCH built on Him and by Him on Yahushua the Son–the Father in the flesh. Father will not let that happen! This time you and I will remain in His chosen domain for you and for me in spite of our human deficiencies. Following from the Tampa Bay Area! (I used to live in New Orleans and my family puts Cajun spice on everything.) I especially enjoyed your recent post on missional communities. I would love to be in such a community, but they seem to be quite rare. I do, however, support a couple of InnerCHANGE communities. I love their intentional living among the poor. I’m also a huge fan of Dr. John M. Perkins and the CCDA. Are you familiar with them? Hi Brooke. Thanks for checking out my blog. I visited Tampa Bay once. Great area. Cajun spice rocks. I am not familiar with Dr. Perkins but I will check him out. Thanks for the lead. I know we haven’t chatted since Letter to My Mom but I love your site and just wanted to reaffirm that by nominating you for the liebster sunshine award. All the information you need is here http://allthingsmomsydney.com/liebster-sunshine-award/. Thank you. I pray this blog is a source of encouragement to you. God bless you, Keith Haney. I feel that I am barely getting to know you, and I am awed by what I am learning about you and you faithful walk with God.